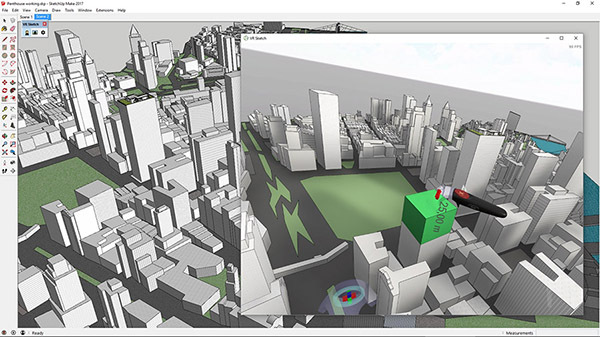 VR Sketch is an extension for SketchUp which gives anyone the ability to create, edit and view their models in VR. Great work. I have experimented with many VR based design apps. This is the best VR design experience I’ve had. VR Sketch is an amazingly efficient way to test our designs! VR Sketch has revolutionized the conceptual part of our projects! Used VR Sketchup for my Design tech class. It's a great collaborative tool. VR sketch is now an integral part of our design process and customer review process. The revolution in design is coming in seven mile steps! We were very surprised at how efficient it is and how much of a game changer this has been for us. VR Sketch is a very easy way to work on a model while having real control. It’s akin to creating a life-size mockup. The extension worked flawlessly with Sketchup on the first try with my Vive. This is really great! I love the way you can keep scaling way past 1:1. We give away educational licenses for free to students and educators. Please fill in the necessary details. Hobbyist license is for users who are not using VR Sketch in professional capacity.